There is nothing like a good body shot in the morning. In the sport of human cage fighting a MMA body shot knockout is the rare jewel rarely found in every grain of sand. In a combat sport with four ounce gloves, body shots are always earned and never given. It takes real guts (pun) to throw body shots in MMA. If you shoot a lazy body shot out into the world, you leave yourself to a counter strike to the chin. (Hi, Rampage vs. Chuck II). Like the years 2016, 2017 and pretty much every year before that, the first eight months of 2018 has been ripe with violence to pick. The juiciest, most organic of fruits to bite into is the body shot. Thanks to a new video, every vicious body shot that set-up a brutal finish is now all here for your violent delights. Mostly filled with Bellator and UFC offerings, the video will make you want to be nicer to your liver for the final four months of 2018. If we’re honest, our liver/spleen have been through hell in 2018. 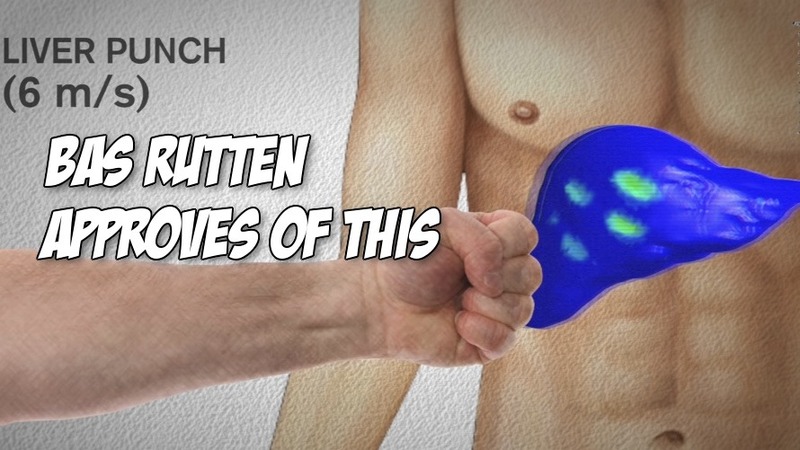 Then again at least our liver is not eating unblocked punches, knees and kicks. So we have that going for body. After watching this video, maybe our liver and spleen are spoiled? Thanks for nothing human anatomy. So ungrateful. Continue to speak to your organs for improved digestion. Give yourself a self-hug as you watch all the best MMA body shots of 2018 in this brand new video.